Bank holidays or no bank holidays, enthusiasts still want to buy wine! Our customer base outside of France is increasing rapidly and throughout the month bids were received from nearly 60 different countries. An increasing number of enthusiasts are also placing bids from their mobile, one in two of you in fact. Here’s a look at the bottles that caused the biggest excitement at auction in May. For those of you looking to make some space in the cellar, take note. From Bordeaux, Petrus remains a fine investment, with even the “small” vintages registering a price rise. Wines from this domain appreciate extraordinarily well, especially the 1987 vintage, showing a price rise of 36% at €1,946. Another star of the show is Château Margaux 2015. One might think that the inflated En Primeur prices of this wine would make it difficult for it to find its way back on the secondary market. Wrong! This bottle stands as a serious collectors’ item. 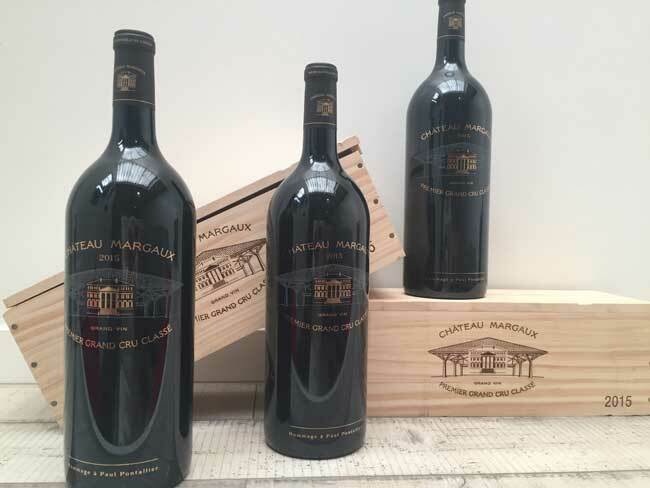 Bottled for the first time in opaque glass and engraved with gold letters, it pays tribute to Paul Pontallier (the property’s iconic director who died after the 2015 harvest) and Sir Norman Foster who, in 2015, completed the château’s mammoth renovation and modernisation project. Several magnums of this Premier Cru Classé were auctioned for €2,554 a piece, a 17% increase on the iDealwine price estimate. Other notable auction results from the Bordeaux vineyard demonstrate the evocative power of grand vintages. Château Latour 1982, for example, registered an admirable performance this month: a 12-bottle case fetched €18,362 or €1,532 a bottle (+19%). Another formidable result was the magnum of Château Pichon Lalande 1955 bought for €1,642 by an Austrian enthusiast (+13%). If you were the lucky owner of the vertical of Chambertin Clos de Bèze from Armand Rousseau (in vintages 2005 to 2010) you will have seen that the price of this rare lot, proposed in a special limited-edition case, shot up to €7,782, a rise of 42% on the initial starting price. Another mythic signature from the Côte de Nuits present at auction last month was Jacques-Frédéric Mugnier. The Musigny 2010 from this domain continues to break records. It has now passed the €2,000 price threshold when on the 16th May it fetched €2,043. If when perusing your cellar you see you have a few bottles from Jacky Truchot, be careful not to smash them! 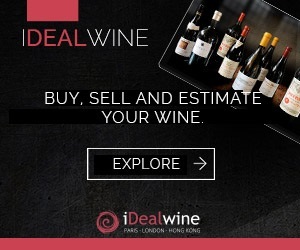 Taken over by David Duband by way of an investor, this domain is seeing its wines skyrocket in price. The final hammer price for a Clos de la Roche 1995 was €1,727 and for a Gevrey-Chambertin 2004, €1,094. 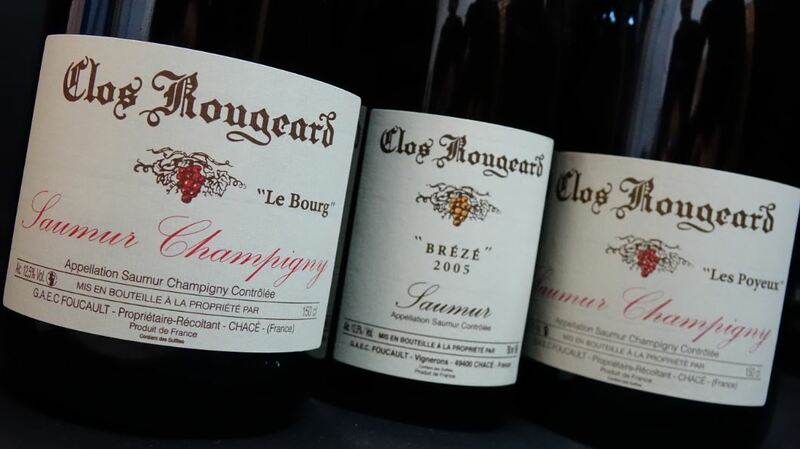 Finally, we can’t forget Les Amoureuses, the famous Chambolle-Musigny climat. A bottle from Roumier in the 2000 vintage provoked a bidding frenzy. It finally went for a staggering €2,371 (+185%). 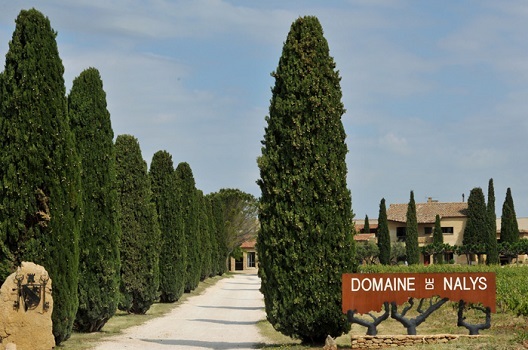 As for the Rhône, and Châteauneuf, Rayas registered spectacular price increases, both for its grand vin and its offerings from the estate’s satellite domains such as the Côte du Rhône from Fonsalette (€125 for the 1999 vintage, +36%). Note also the success of some of the hard to find cuvées such as the “Sine Qua Non Chimere” from Clos Saint-Jean: a magnum of this in the 2010 vintage reached €2,554 (+40%). From the north of the region, rare Cornas is becoming hugely sought-after at auction, especially amongst American buyers, and prices continue to rise. The Reynard and Chaillot cuvées from Thierry Allemand are proving particularly popular. From the Loire, it was a sweet wine that wowed at auction: the Vouvray Le Haut-Lieu 1921 from Domaine Huet was sold to a British wine lover for €912. The finest vintages from Domaine Charles Joguet in Chinon also took the limelight. A magnum of the Clos de la Dioterie 1990 fetched €535 while a 1989 magnum of the same cuvée reached €462. An emerging trend from this region is the enthusiasm amongst buyers for the cuvée Les Nourrissons from Stéphane Bernaudeau, a crystalline Chenin (and a natural wine) from a tiny domain (3ha). Prices for this wine are exploding and don’t look to be easing anytime soon as the Asian market is developing a taste for this cuvée. The 2014 was auctioned for €177 (+108%), the 2015 for €128 (+31%) and the 2013 for €158 (+117%). We will never tire of telling you to look after your special bottles of vintage Champagne! A South Korean amateur became the proud owner of a magnum of Cristal 1962 for €2,189. Keep an eye on the Comtes de Champagne from Taittinger too, currently enjoying enormous success at auction. 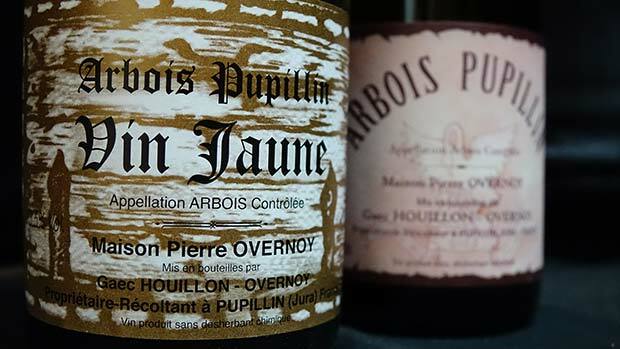 From the great winemaking regions, interest in the natural wines of Domaine Overnoy in the Jura remains strong (€851 for a magnum of Arbois Pupillin 2010, +27%). Vins Jaunes from Jean Macle, which for a long time offered attractive prices , are now rising steadily in value. At the same time, in Alsace the Riesling Clos Sainte-Hune from Maison Trimbach remains the reference in this region: a magnum in the 2007 vintage sold for €341 (+27%). On the other hand, in the Languedoc, the wines from Grange des Pères seemed to have reached their peak and are plateauing. Crossing the border, Italian wines remain coveted by enthusiasts, particularly the Masseto from Tenuta dell’Ornellaia: a bottle in the 2010 vintage fetched €620 (+13%) when it was bought by a Belgian buyer. Note also the magnificent results for the Armagnacs from Château de Laubade and the Bas-Armagnacs from Laberdolive, not to mention the whiskies (Glen Grant 1949: €973). It suffices to say that wine enthusiasts from the four corners of the world are on the lookout for the treasures hiding in your cellar.